So you want to improve your bowling form? Or you want to find a bowling form? Any form at all? Well, luckily for you, we’re about to write some words here that explain the basics of how to find your best bowling form. 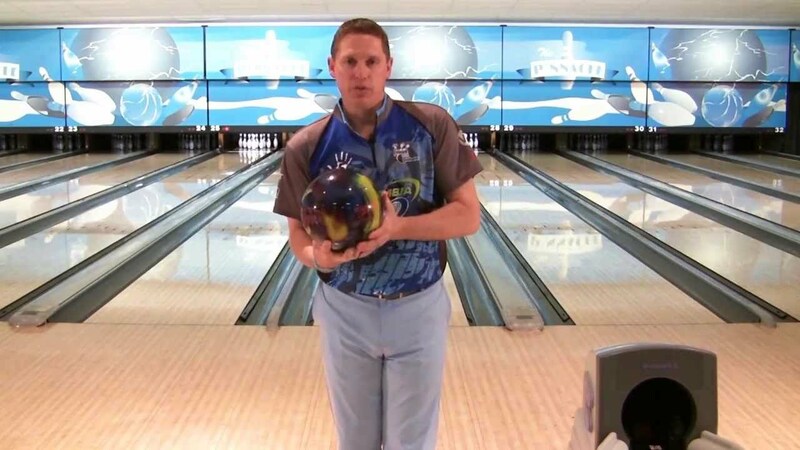 Really good bowlers look the same every time they toss the ball down the alley. They hold the ball the same way. They have the same determined look on their face. 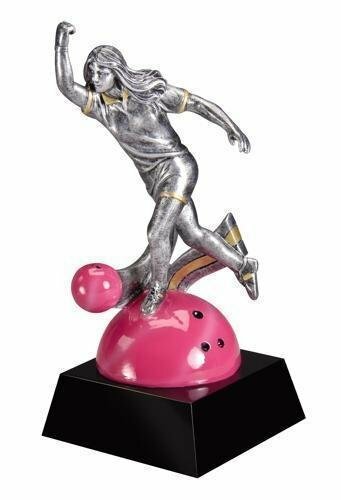 They take the same amount of steps and with a seemingly effortless swing of the arm, roll the ball down the alley as they assume the bowling trophy pose. How is it that professional bowlers can look so consistent? As with any sport or life activity that requires skill, they practice, practice and then they practice some more. Repetition is the key to perfecting your bowling form. You have to put the time in. This is vital not just to develop muscle memory, but also to discover what works best for you before you commit to using that form forever. Getting the kind of repetitive practice you need is difficult if you only bowl with friends or groups that see the sport as a social event. It is best if you can bowl when you want and not have to wait for your next turn when you want to try something different. For that reason, try renting a lane alone even if you can’t leave the friends at home. The proper bowling form starts the moment you pick up your ball. Your grip should be consistent. Your fingers should be in all three holes and feel comfortable. If you are stretching or bunching your fingers, you need a different ball. The fingers should be able to maintain a hold of the ball as you let it swing back and then propel the ball without white-knuckle tension or red-knuckle tightness. That means your finger should be loose enough to release the ball without dislocating a finger; but tight enough to not render the scorekeeper unconscious behind you. The Stance...A VERY Serious Thing. Serious bowlers look very serious in their stance. They hold the ball near their waist, three fingers in the holes and the other hand providing support. Serious bowlers do not hold the ball in front of their face or apart from their body. Serious bowlers do not talk to the ball or pins. They do not fidget except for minor adjustments if needed to address bunched up pants or an itch. Serious bowlers are very comfortable in their stance. They stay in their stance until their body says it’s time to go. No matter how comfortable you are in your stance, eventually you will need to throw the ball down the alley. Four factors influence your bowling swing: timing, release, rotation, and release. Basically, you will let the ball fall and swing backwards to just the right height, from where you will adeptly guide it forward, releasing the ball at the perfect moment and with just the right amount of spin at just the right point of the alley to place it between the one and three pins with exactly the right velocity to sharply bounce the pins off each other resulting in a strike. Ideally, you will do this twelve times in a row while walking forward toward the most slippery surface known to man. The backswing should be called the back-drop. There is really little to no swing effort to be made on your part. Let the weight of the ball do the work. All you need to do is wait for your at-stance body to tell you it’s time to go. Then you bring the ball forward (away from your body) a bit; remove your support hand and open up your bowling arm by pulling back and extending your elbow. At some point, you will feel the weight of the ball pulling your arm a little upwards and to the rear. Then it will stop. That is the point where the backswing ends and the delivery begins. This all happens while you start your approach. Do not try to add power by pulling the ball further backwards or by jacking the ball forward violently to begin your delivery. Remember that your fingers are gripping the holes loosely enough to allow for easy release. You do not want that release to occur on your backswing. As the arm comes forward, different bowlers will provide varying amounts of power. Some bowlers feel the need to throw the ball halfway down the alley. Others want to lay the ball on the floor right out of their hand. Again, this is a comfort and personal style choice. Some power is good, but exceptional power is not necessarily better. The real key is the release point and spin. With proper timing, the ball will be at its lowest point as you approach the foul line on your last step. You will release the ball at that point, whether your ball is on the floor or a few inches in the air. If you are a new bowler, release it straight for now. Get the feel of where the ball is going and how much power you have. In time, you can try rotating your fingers inward just a bit as you release the ball. This will create a spin. Depending on how hard you release the ball, as well as where you release it, the rotating ball will at some point curve toward the center of the alley. If it happens too early, you will miss everything. If it’s too late, you will knock out the back pins. But if it’s done just right, it will curve in between the front two pins and result in a perfect strike. As you approach the alley, you may notice seven little arrows pointing toward the pins. If you did not notice them, you probably made the mistake of looking at the pins. Good bowlers do not look at pins! The arrows (as well as dots further down) are there to help you place the ball on your release. When you learn how your ball will curve, you need to adjust your release point (that is, how close to the middle or edges of the alley the ball is) to make maximum use of the movement. Alleys are covered with bowling wax and oils that can vary in amounts and patterns from venue to venue. This can affect ball spin, so you may have to adjust the release point. You should have an idea, though, of what arrow you will aim for first. Don’t Miss the Exciting Finish! No, the article isn't quite wrapping up. We’re talking about the finish of your bowling swing. You can’t just release the ball and stop. You have to follow through. Failure to follow through will affect the spin and speed of your ball. It also may leave you in an unbalanced position, which can lead to unfortunate results. As you take your last step, your body will lower itself a bit to bring the ball closer to the floor. This makes it easy to swing your back leg behind you like a speed skater. Your bowling hand has to continue past the release point, too. It should wind up high in the air as your opposite hand wraps behind your back. Now remember, this whole backswing, delivery, spin and follow through is happening while you are moving forward. Your forward motion provides some of the power of the ball. The more fluid the steps and motions are, the better your ball delivery will be. A fluid delivery relies on timing. Timing relies on practice and experimentation. The traditional, ideal approach consists of four steps forward. With the first step, you bring the ball away from your body a bit in preparation for the backswing. On the second step, the ball drops on its way behind you. During the third step, the ball has reached its pinnacle behind you and is ready to be swung forward. On the fourth step, the ball is released and you finish with your bowling-side leg in front; your opposite leg swinging behind; your bowling arm in the air and your opposite arm tucked in behind you. Face it. It’s human nature to want to do a little happy dance when you knock all the pins down. Unless you just won a million dollars for that strike, try to resist that urge. Once you see the ball hit the pins, walk off the approach area to a spot behind the ball return. This is proper bowling etiquette, but it also portrays the image of a serious and experienced bowler. These things happen. You should still walk off the approach, preferably as if you meant for that to happen. At least don’t sob. Once you discover (through practice and repetition) where your release points are, this should happen less. When you are bowling better and you have one bad throw, fight the temptation to make an adjustment. There was probably a little hitch you didn’t notice on the bad ball. Even the most professional, consistent-looking bowler doesn’t bowl strikes every time. So don’t get discouraged. Just keep bowling. Okay, now we’re wrapping up this article. Let us end with a bit of advice and a reminder. First, if you are serious about your bowling and will be bowling a lot, spend the time and a little money to have a ball custom drilled for you. It not only feels more comfortable, it provides stability to your game and lessens wear on your hand and wrist. Buy your own shoes, too. Be sure they fit properly and have a predictable amount of give as you finish your approach.